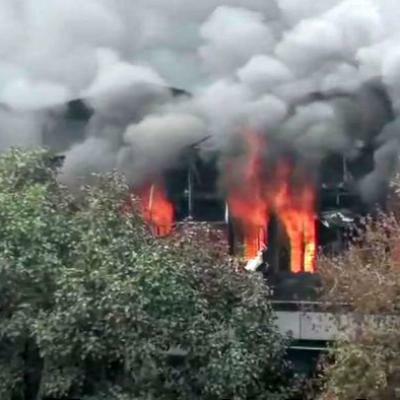 Fire broke out early morning at a commercial building in west Delhi’s Naraina on Thursday, Delhi Fire Service said. Fire official said call was received at 7.10 am after which 23 fire tenders were rushed to the spot, a senior fire service officer said. TV channels said the fire is due to short circuits but still to be confiremd by fire officials however no causality was reported. The cause of the fire was not immediately known, he said.